Grammy-nominated singer, songwriter and actress Jordin Sparks can best be descibed as the all-round entertainer. Back in 2007, she won the 6th season of American Idol at the age of 17 and by so doing, she became the youngest winner in the history of the competition. A year after her historic win, Sparks cemented her superstar status with the release of the hit pop single “No Air”, a duet with Chris Brown and for which she ultimately earned her first Grammy Award nomination. The highly talented musician has continued to make waves in the international music scene ever since and has spawned several hit tracks and albums over the years. Just like her music career, Sparks has equally fared well as an actress and has raked up notable credits both on screen and on the stage. She marked her big screen debut in 2012 when she portrayed the title role in the musical film Sparkle. Jordin Brianna Sparks was born on December 22, 1989, in Phoenix, Arizona to an Afrcan-American father and a Caucasian mother. She began her high school education at Northwest Community Christian School before transferring to Sandra Day O’Connor High School. An early bloomer, Sparks discovered her musical talents at a very early age and she got to feature in several talent shows all through her teenage years. Among numerous accolades, the talented youngster was named the Best Young Artist in Arizona for three straight years. She ultimately quit regular school in 2006 and was homeschooled by her grandmother who equally doubled as her music manager. During her teenage years, Jordin Sparks mustered some degree of fame in her home city as she got to perform at various local sporting events. She was cast into national prominence in 2007 when she won the sixth season of American Idol. Despite having had a rough start in the competition, the talented singer made it all the way to the final stage of the competition and was ulitmately crowned champion at the May 22, 2007 grand finale of the show. Winning American Idol season 6 marked the beginning of an illustrious music career for the highly talented singer and songwriter. She has since churned several chart-topping hits and highly successful albums and remains one of the most successful American Idol contestants in the history of the competition. Her eponymous debut album Jordin Sparks was released in November 2007 and it debuted at number 10 on the Billboard 200. The album contained a couple of Billboard Hot 100 top-ten singles including the Grammy-nominated Chris Brown collaboration “No Air”. Sparks’ sophomore album Battlefield (2009) debuted at number 7 on the Billboard 200 Chart and it recorded a fair level of commercial success. She embarked on a 5-year hiatus from music during which she delved into acting. She returned to the studio in 2014 and the following year, she blessed her fans with a third album Right Here Right Now (2015). Jordin Sparks has remained consistent in her music career since shooting into the limelight in 2007. In addition to being a successful recording artist, she has equally had an active acting career over the years. Also a entrepreneur, Sparks has her own clothing line as well as a chain of fragrances to her name. Therefore, it comes as no surprise that this multi-talented superstar has bulit a net worth valued at an astonishing $10 million. Jordin Sparks’ mother Jodi (née Wiedmann) is an entrepreneur and her father Phillippi Sparks is a former pro football player. The latter had an 8-year career in the NFL during which he played for the New York Giants and the Dallas Cowboys. Jordin has a younger brother Phillippi “PJ” Sparks, Jr. and just like their dad, he played college football at Arizona Christian University. 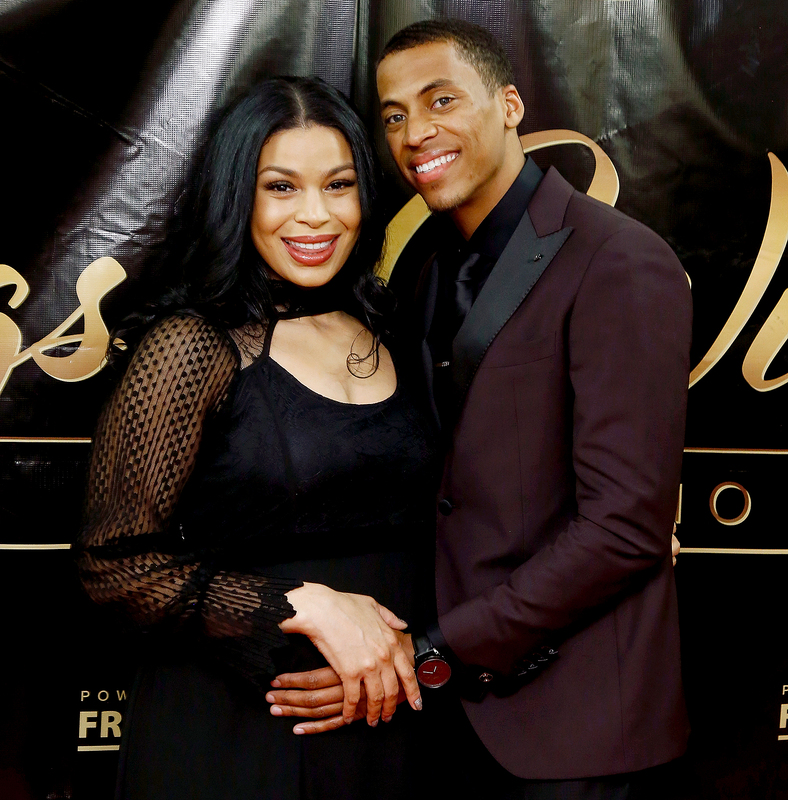 Jordin Sparks is very much married and her husband is none other than a fitness model named Dana Isaiah Thomas. These two lovebirds tied the knot on July 17, 2017 after a whirlwind one-year romance. Shortly after their wedding, they announced that they were expecting their first child and ultimately, they welcomed their son Dana Isaiah ”DJ” Thomas Jr. on May 2, 2018. Jordin Sparks stands at a height of 5 feet 10 inches (178 cm). She maintains a body weight of 64 kg (141 lb). The multitalented star was known to be full-figured in the earlier days of her career. However, she has undergone an astonishing physical transformation over the years and now sports a much trimmer physique. Sparks’ weight-loss journey began in 2010 with the adoption of a strict exercise routine coupled with a complete diet overhaul. As expected, her persistent efforts ultimately paid off and by 2012 she had lost an amazing 50 lb. Of course, the singer and actress has experienced some fluctutaions over the years but she has always managed to snap back into shape.